Friday, October 18th was a night dedicated to some of the most important people we know, our wonderful and dedicated volunteers! 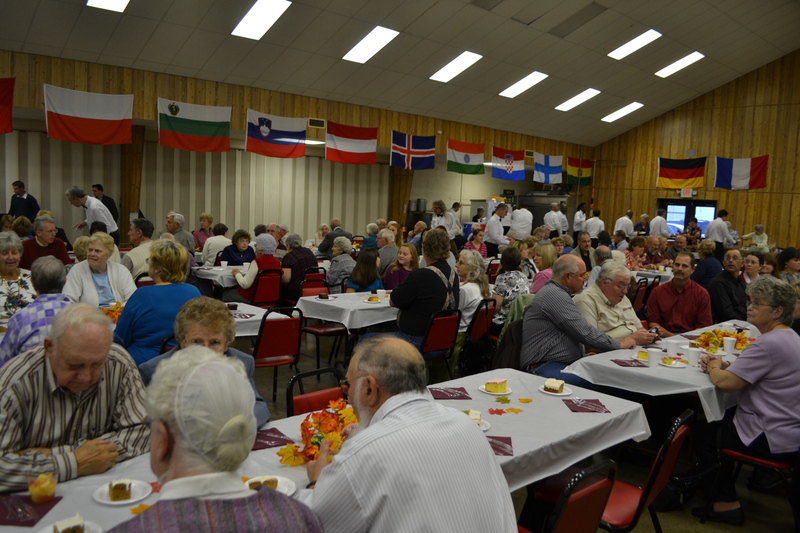 We hosted our 2nd annual Volunteer Appreciation Dinner for more than 160 of our volunteers who gave valuable time during this past year to help us reach thousands of people in Hagerstown. Our volunteers log hundreds of hours a year helping in many different ways at The Hope Center. From serving food, to building relationships with kids at Camp Wild, to preparing food bags, to teaching & counseling, to sorting items for our thrift stores, and helping to keep our facilities clean and up-to-date, our volunteers truly do help make a difference and keep this ministry moving forward. We understand that everyone’s time is precious so that’s why we appreciate all the hours that our volunteers give. And this dinner is just a small way of saying “thank you” for partnering with us to bring hope to Hagerstown. Our volunteer appreciation event was started as a way for us, and our residents, to say thank you to everyone who helps throughout the year. Our residents have a very unique opportunity to meet so many different people who help all over the place at The Hope Center. So this is a way for them to show their gratitude to all the faces that they’ve met while in the program. The delicious meal was catered by Leiters’ Fine Catering. 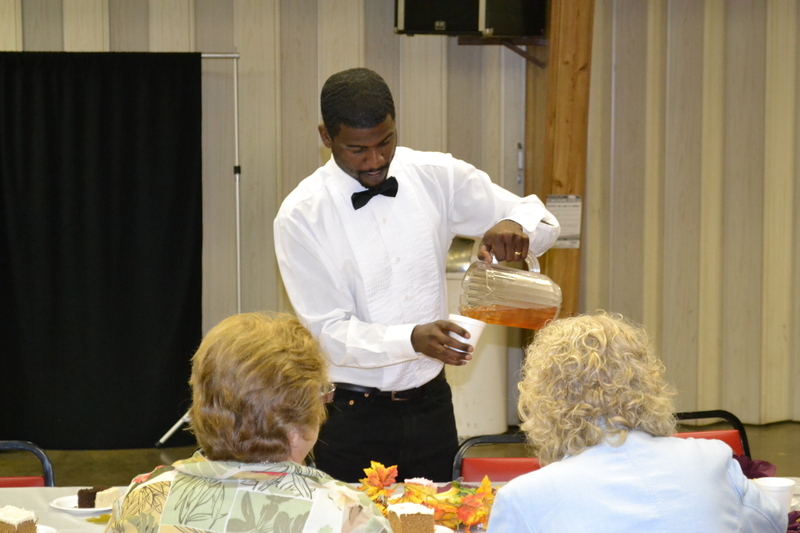 Our Hope Center residents were the servers for the evening. 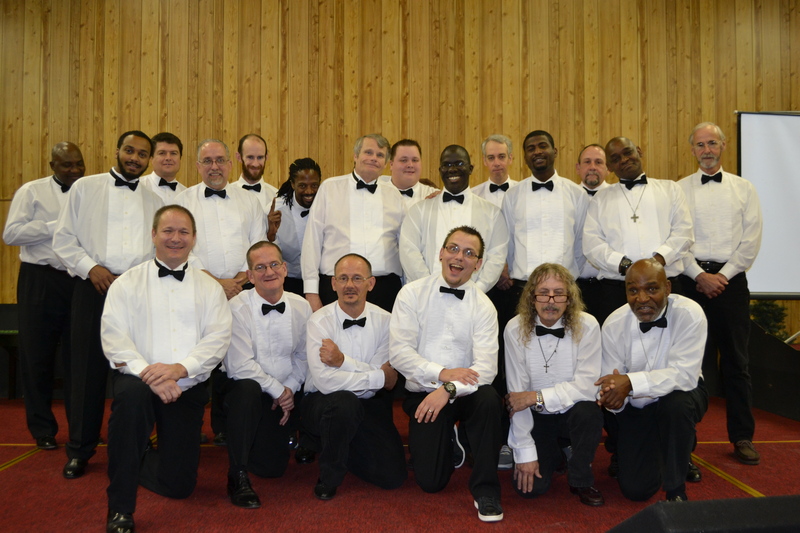 And to provide a touch of class, our residents wore tuxedo shirts loaned to us from J&B Bridals in Chambersburg. Each resident was assigned a table that he was responsible for serving food & drink as well as talking & mingling with our guests of honor. 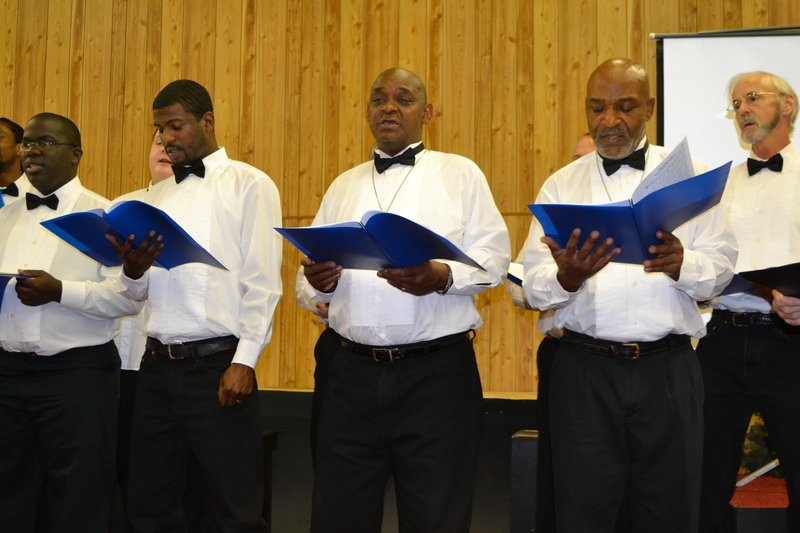 In addition to serving, our residents sang for our volunteers and two of our residents, Dustin & Dave, gave testimonies. Gene Ridenour, The Hope Center Board President, lead the men in singing and his wife, Holly, sang two solos. Ron Shank, Director of Pastoral Care at Brooklane, gave a short message to the volunteers, thanking them for their service and dedication to The Hope Center. We were also pleased to have nine of our Board members in attendance. It’s good for our Board to see and meet some of the people who give so much to this ministry. But we want to take a minute to thank some other very important supporters of this ministry, our Ladies’ Auxiliary. These wonderful women made all the delicious desserts for the event. In addition to that, they helped to set up the event and clean up afterwards. We can’t thank them enough for all the support that they provide The Hope Center throughout the year. We love them and are truly thankful for their faithful service to this ministry. 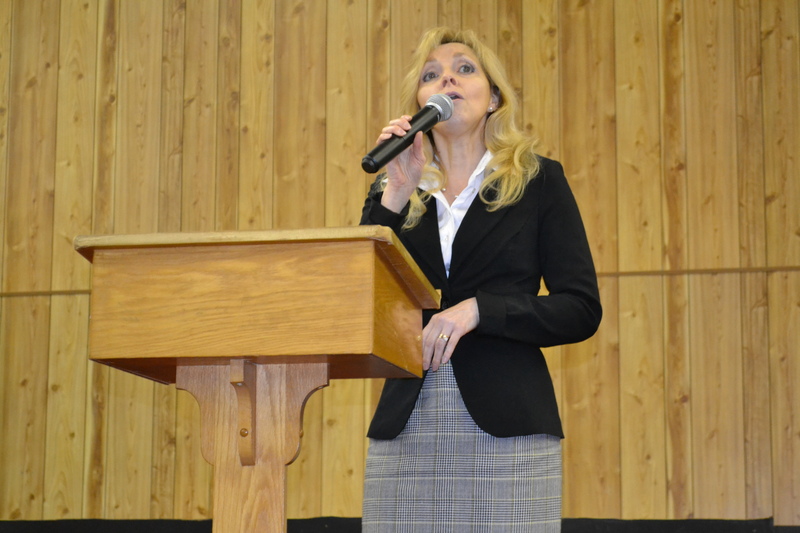 We thank God for all the people He has sent to partner with us to reach Hagerstown for Christ. God has sent us a very faithful group of friends to help us spread hope and love to so many who have been left behind or forgotten. We cannot even measure the eternal impact that our volunteers have had throughout the years. We love our volunteers so incredibly much! Thank you for finding the time, energy and spirit to serve the least, the last & the lost. You’re truly making a difference in the lives of so many. If you would like to join the ranks of the greatest volunteers in Hagerstown, call or email us immediately! There are plenty of ways to get plugged in. We can help find the right place for your talents and gifts. Call 301.739.1165 or email us at hagerstownrescue@verizon.net today. This entry was posted in Camp Wild, Community Involvement, Donations, Evening Chapel Service, Food Bank, Food Services, Foundation Men's Program, General, Ladies Auxiliary, Sorting Room, Special Events, Stories of Hope, Thrift Stores, Transient Ministry, Volunteer, Wildside Youth, You're Invited and tagged after school program, alcohol rehab, Christian ministries, community service, drug abuse facilities, food bank, food drive, Hagerstown, Jesus, Ladies' Auxiliary, Leiters' Fine Catering, life recovery, Maryland, non-profits, Rescue Mission, serving others, summer camp, volunteer opportunities, Washington County by hopecenterhagerstown. Bookmark the permalink.